The Bay Weekly Flyer September 1 - 7, 2017. 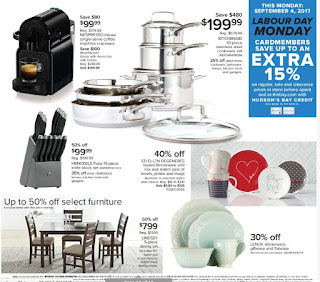 Save on fall bedding, entertaining and more. Colonnade Dusk Double/Queen Duvet Cover Regular Price $300.00 - Sale Price $210.00 400 thread count, mod-stripe duvet cover in super-soft pima cotton. 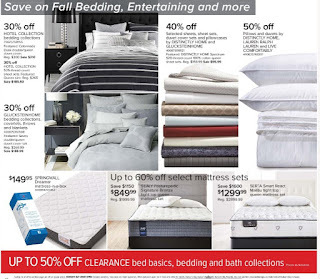 Glucksteinhome Bedding Collections, Converlets, Throws and Blankets 30% Savings. Sheets, Sheet Sets, Duvet Cover Sets and Pillowcases by Distinctly Home and Glucksteinhome 40% Savings Selected. Springwall Dreamer Mattress-in-a-Box $149.95 - Sale Price Rollpack box with handles with a relatively lightweight mattress. Sealy Posturepedic Signature Bronze Tight Top Queen Mattress Set Regular Price $1999.99 - Sale Price $849.99 $1150.00 Savings Ultra-Fresh antimicrobials keep products fresh, hygienic, and odor-free by stopping the growth of bacteria and fungi. Serta Smart React Malibu Tight Top Queen Mattress Set Regular Price $2899.99 - Sale Price $1299.99 Save $1600.00 Comfort level: firm (back sleepers), plush (side sleepers). 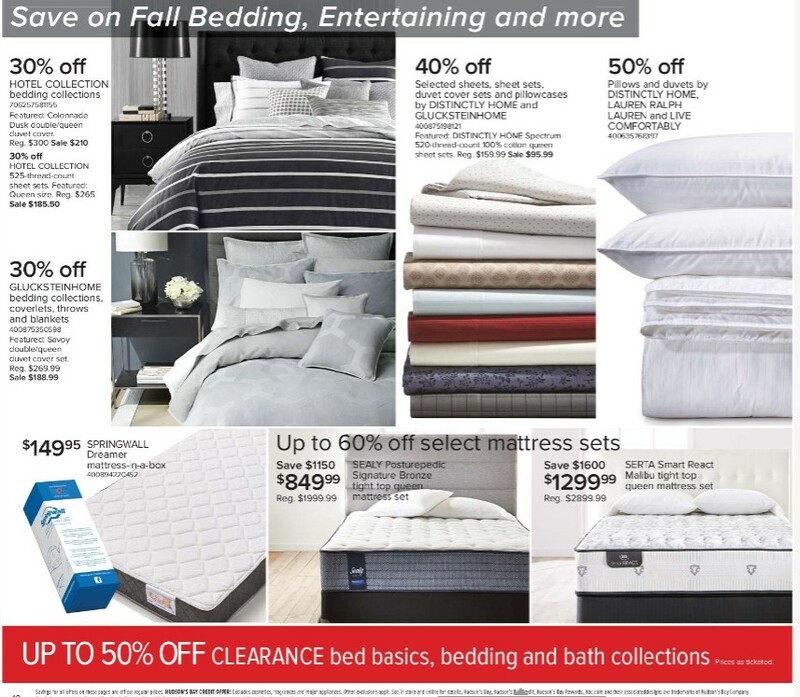 Also get save up to 50% off clearance bed basics, bedding and bath collections. This monday september 4, 2017 The bay flyer Labour day monday cardmembers save up to an extra 15 %. Up to 50% off select furniture. Lindsey Dining Set Regular Price $1599.00 - Sale Price $799.00 50% Savings 5-Piece. Includes 60" table and 4 upholstered ladder-back dining chairs. 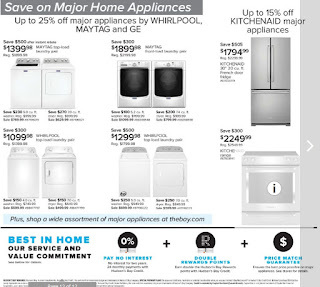 Save on Major Home Appliances by Whirlpool, Maytag and GE 25% Savings on last page The Bay Weekly Flyer this week.